Wingard is now a Hawk! Chad Wingard has officially signed with the Hawks and we thought what better time to give the Hawks fans a look into Wingard's brilliance. Chad Wingard pulled on a brown and gold jumper for the first time on Friday. 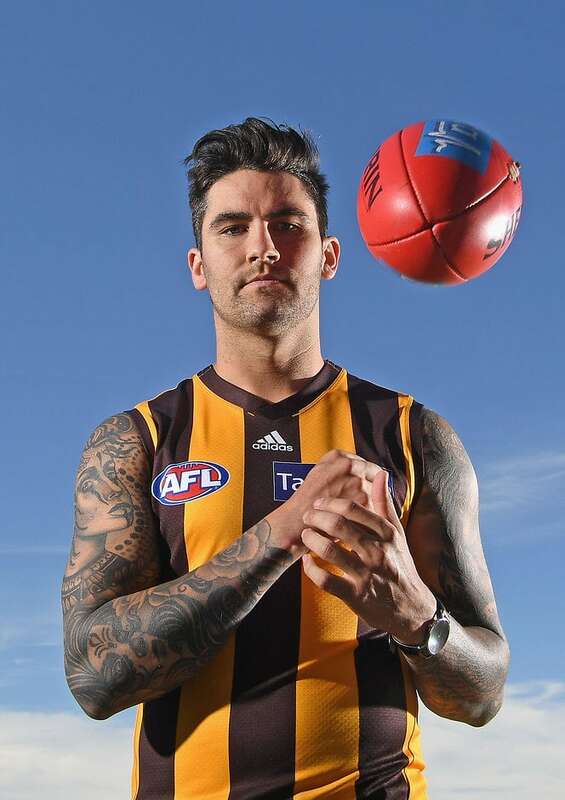 BOOM Hawthorn recruit Chad Wingard has revealed he was surprised to learn the Power were open to trading him following his exit meeting with coach Ken Hinkley. The Power star was traded to Hawthorn and signed a five-year deal on Wednesday, but denies there is any bad blood between him and his former club, despite Port Adelaide insisting it was Wingard who requested the move. "Obviously at the end of the year it was hard. It's all words, I could promise the world but I didn't get a chance to prove myself.
" I was contracted to Port obviously, I didn’t have it in my mind to even think of asking for a trade. I think it was probably a couple of weeks after that my manager came to me, and I’m not sure who instigated it, but he told me Port was open to me having a look around. "For me it felt like if they're going to ask me to do that, they're really open to it and want to trade me, that’s the way I took it." Wingard, and his manager Tom Petroro, then went about looking at what clubs would be a good fit. Even after speaking to several clubs he wasn't convinced he wanted to leave Power, who drafted him at pick No.6 back in 2011. But after a meeting with four-time Hawthorn premiership coach Alastair Clarkson, and conversations with ex-teammate Jarman Impey, veteran Hawk Shaun Burgoyne and retired star Cyril Rioli, Wingard made his decision. "Just being valued and wanted is obviously a huge thing and I think I felt that from Hawthorn," Wingard said. "I’ve seen how successful this club has been and I’ve seen how the players under Alastair Clarkson have improved their game and that’s pretty much the only reason I’ve come here. "I needed a change in my career, I need something to revitalise myself and not get stagnant and comfortable where I was at. I needed a new challenge and that’s why I chose the Hawks." Despite the way his time at Port Adelaide ended after seven years, Wingard said there isn’t any bad blood between him and the club. Power football boss Chris Davies said on radio on Thursday night that Wingard had become "a bit complacent and stale." Wingard, who kicked just 22 goals in 2018, doesn’t disagree. "I think that’s a pretty fair comment. You need to be challenged, you need to have that drive. I did have that drive all year but like I said when you don’t perform as well as you used to, a lot of things get said about you, whether it’s true or false," he said. "But my drive to be competitive and to play the best footy I can has never changed. I was very comfortable with where I was at, and I think that can be a really dangerous place to be. This is very uncomfortable for me to be in Melbourne, playing with another team and I think it’s the right challenge that I need. "There’s no bad blood at all. I love the club, they drafted me in 2011, gave me the opportunity to play AFL and I’m very grateful for that. The fans really embraced my family and I can’t thank them enough for that, and my family and myself have cherished every memory we’ve had at that club. "I’m here for one reason and that’s to get success as a team."